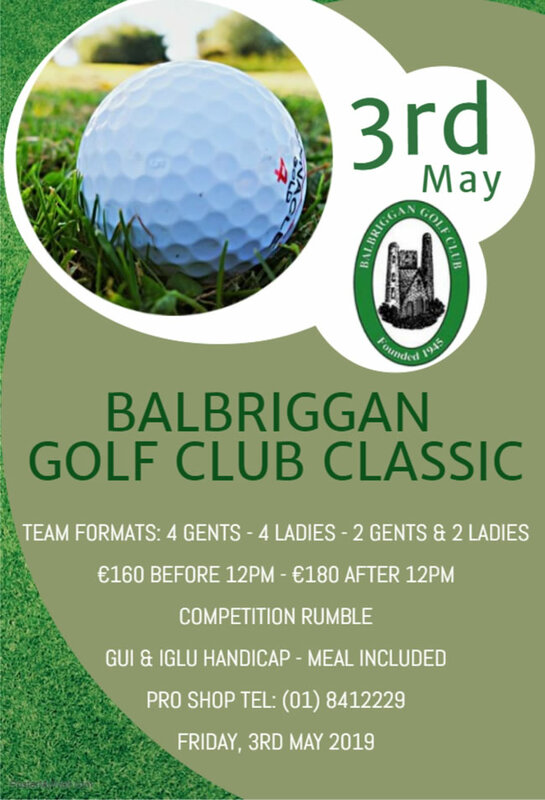 Balbriggan Golf Club are holding a Golf Classic on Friday 3rd May 2019. Team formats: 4 gents, 4 ladies, 2 gents & 2 ladies. For further details please contact Club Professional Nigel or Ronan in the Pro Shop on 01 8412229.